Sergio Ramos has been given a two-game ban by UEFA “for clearly receiving a yellow card on purpose” during Real Madrid’s Champions League tie at Ajax. Ramos fouled Kasper Dolberg in the 89th minute with Real 2-1 up, meaning he is suspended for the last-16 second leg. The Spain defender, 32, told reporters afterwards he would “be lying if I said I didn’t force (the booking)”. UEFA opened an investigation and gave him with an additional one-match ban for obtained a booking deliberately. 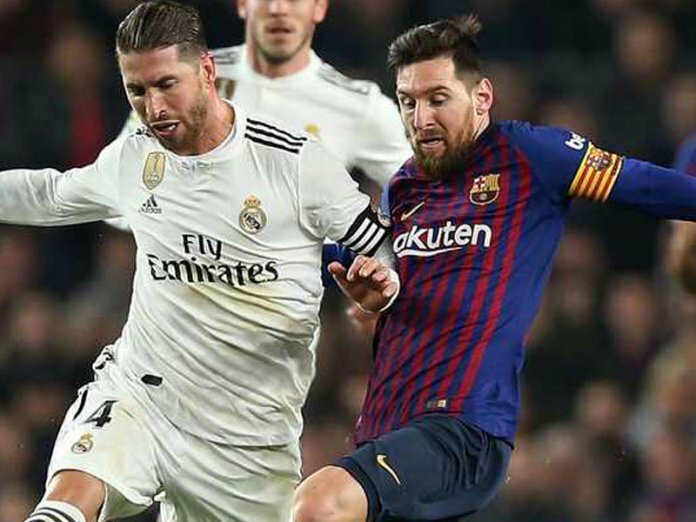 By picking up a suspension at this stage, Ramos reduced the risk of missing a potentially more important match later in the competition, as all bookings are wiped following the quarter-final stage. But should Champions League holders Real progress to the last eight, Ramos would be unavailable for the first leg of that tie. Ramos clarified his post-match comments, saying: “I was referring to forcing the foul, a foul that was inevitable. Not to forcing the booking.